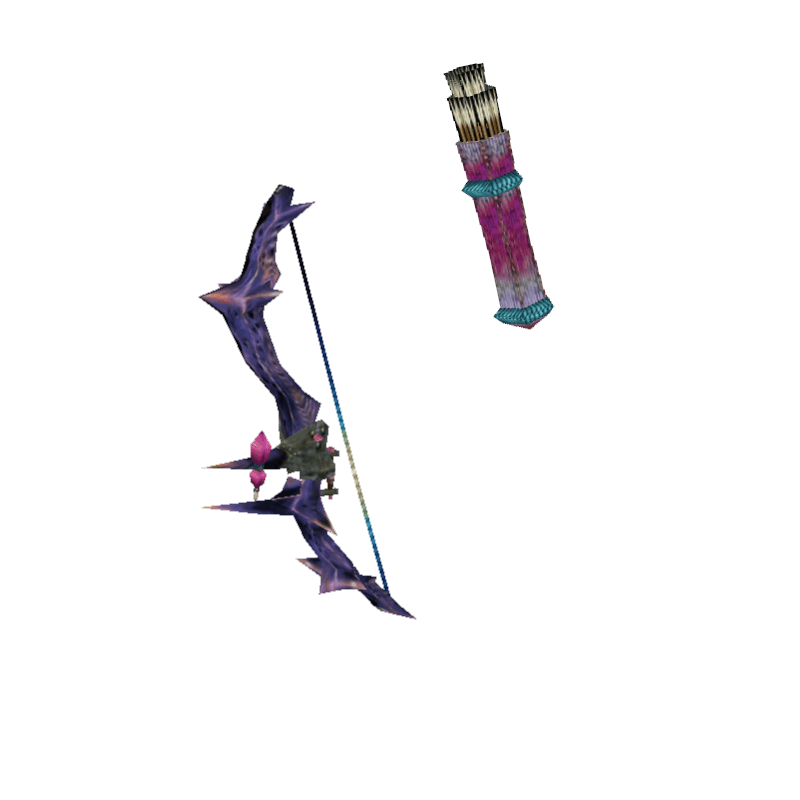 A Yian Garuga hunting Bow with venom-enhancing traits. Compact, wieldy, powerful. / The final iteration of the Crow Bow. Poisons its arrows with the blackened soul of a Yian Garuga.